Perez Goree & Associates, LLC is dedicated to providing accounting, bookkeeping and tax solutions that fit the needs of small businesses and individuals. As a local Orlando, FL accounting firm our office is conveniently located and we offer personal service at competitive rates. Whether you’re starting a new business, running an established business or just need annual income tax preparation, we're here to help. We can also assist you with a variety of accounting services. From financial statements, budgets and cash flow management to QuickBooks support, tax planning and new business advisory, we continue to strive for excellence in all we do. Let us put our years of experience to work for you! Call us at 517-281-3983 today for more information and to schedule your free initial consultation. Perez Goree founder and C.E.O. of Perez Goree & Associates, LLC is a Certified Public Accountant and has been practicing accounting since 1991. He obtained his Bachelor’s Degree in Accounting from Wayne State University and Masters Degree of Entrepreneurial Management from Davenport University. 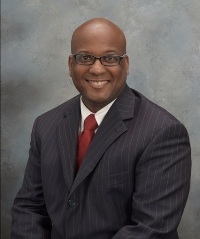 He has served as an Adjunct Finance Instructor at the University of Phoenix and has served as a Board of Director Member for the Entrepreneurial Institute of Mid-Michigan. His experience highlights include the following industries; State and Municipal Governments, Electric & Water Utilities, Churches and Non-Profits, Oil & Gas, Automotive, and Professional Sports. Perez is originally from Detroit, MI and now resides in the Orlando, Fl area with his wife Mara and their two children Gabrielle, and Joshua. Copyright 2014 - 2019 Perez Goree & Associates, LLC - All rights reserved. CPA Website development by Build Your Firm, providers of accountant and CPA marketing services.